I still have vivid memories of when the Fame TV series first appeared on British TV screens during 1982. Suddenly, all the girls at school (well, the cool ones, at least!) were wearing leg warmers over their jeans and singing some crazy tune about wanting to live forever and learning how to fly high. 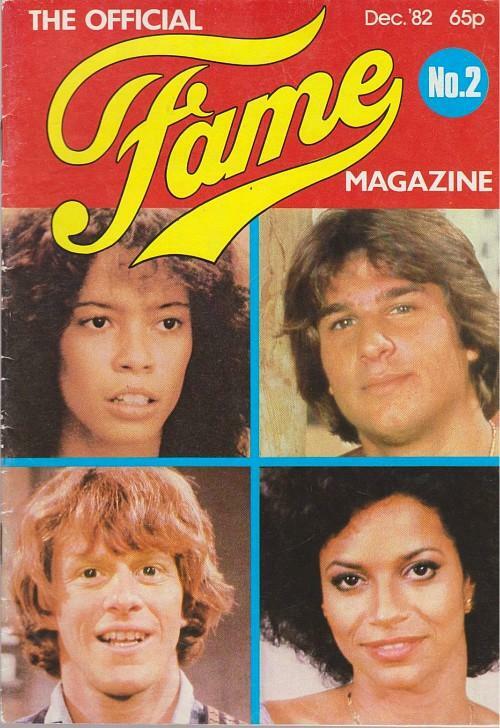 I had no idea what all the fuss was about at the time, but soon cottoned on that what they were obsessed with was a new U.S TV series called Fame and its theme music. Vocalist, Irene Cara had already played Coco Hermandez in the original film. The song was first released as the theme tune to the 1980 film in the U.S. However, the single wasn't released in the UK until the summer of 1982 when the TV series first aired. The original run was from 1982 until 1987. The single entered the UK singles chart at No.51 on 27th June 1982, climbing to No.4 the following week, and reaching No.1 on 11th July, where it remained for four weeks. 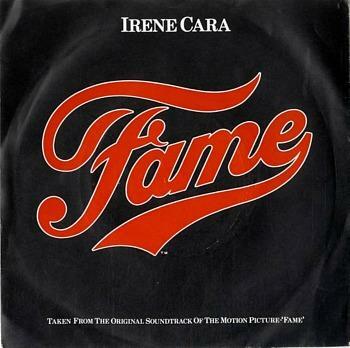 The Fame tune won an Academy award and Golden Globe award for the best original song of 1980, and its popularity helped the single to top the British singles chart for three weeks, which to date, has sold over 1 million copies. 1. Eye-catching Fame T-shirt. Of course, nobody would have worn a T-shirt bearing the Fame logo in the TV series, nonetheless, it's ideal for fun dress-up and letting everyone know the theme of your costume. 2. 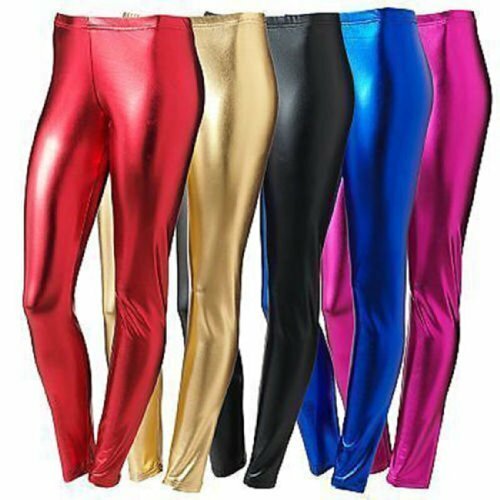 Stretchy Lycra Leggings. Black would contrast well with the bright pink top. 3. Leg Warmers - scrunch-up around your ankles for an authentic 80s dance style.